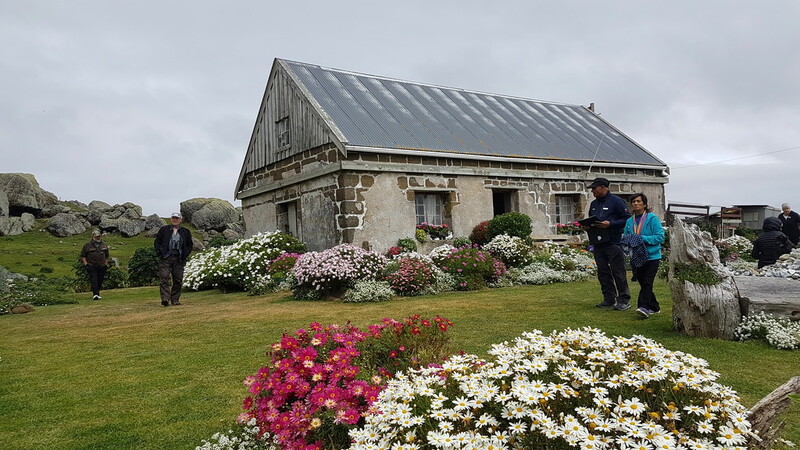 Visited this cute little cottage today while on our tour of the North West of the Island.. we had a 20 minute walk across paddocks.. This cottage was built 1866 and a lovely lady now lives here with no power and very few home comforts.. but she is very happy with her lifestyle with her dogs and cats.. Tags day, two, chatham, island..
A gorgeous image of this cottage. What an amazing woman living alone in such an isolated spot. Wow. No power in today's age is quite a take-on. I'm impressed. What a beautiful garden she has. Gorgeous photo. Wonderful spot and nothing to distract her from her beautiful gardens. Would love to live without power but Canadian winters would make that impossible! She’s quite a gardener too! What a beautiful place. Such a beautiful yard. She is a very courageous woman. Good for her. We are all very spoiled with all our comforts...not that I am complaining. She obviously loves gardening too Julz! Lovely brave of her to live in such primitive conditions but I expect she rises with the dawn & goes to bed at sundown & loving it all! A sweet cottage! Nicely composed shot! Power or no power. it looks like a lovely place to live, but in winter it could be long nights in the dark! Lovely image with everything out in flower. I imagine it could get a bit bleak there, especially with no power. Good on her, but not for me. Its adorable! Looks as if will withstand all the foul weather that is thrown at these islands! @gardenfolk All the locals supply her with fresh fish and lamb/mutton .. and she has a Son that calls often ..
A warm and lovely image of "home".